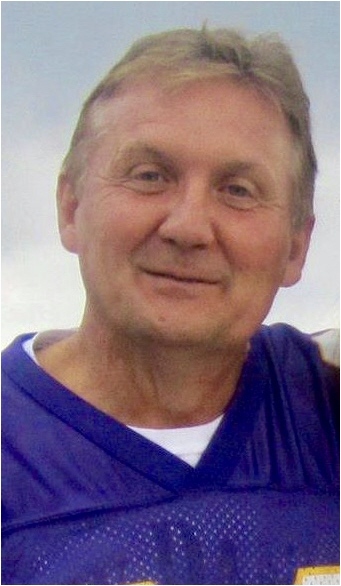 Mr. Elmer Jr. Stephens, 64, of Zebulon, North Carolina formerly of Sandy Hook, passed away Monday, January 14, 2019 at his home. He was born on February 14, 1954 in West Liberty, Kentucky, a son of the late Ollie Elmer Stephens and Blanche Williams Stephens. Mr. Stephens graduated from Elliott County High School in Sandy Hook, Kentucky in 1972. He married Debbie McDaniel Stephens in October 1973 at the Elliottville Baptist Church. Jr. lived in Dayton, Ohio from December 1976 to January 2005, where he worked at General Motors/Delphi for 29 years and retired in 2005. He had lived in Clayton/Zebulon, North Carolina since 2004. Jr. graduated from Johnston County Community College Basic Law Enforcement Training in 2006. He was employed for 12 years as a Police Officer at WakeMed Hospital, having retired in January 2017. Jr. was an avid golfer, gardener, die hard Kentucky Wildcat Fan and all around sports enthusiast. He was very involved and active in his Church (CTF Raleigh). In addition to his parents, he was preceded in death by one brother, Earnie Stephens, a nephew, Jeffery Ison and special sister-in-law, Judy Mickey. Survivors include his wife of 45 years, Debbie McDaniel Stephens, one daughter, Angie Stephens Kinmann (Kevin), one son, Michael Stephens, one granddaughter, Taylor Kinmann, three brothers, Delmas Stephens (Carol), Dale Stephens (Nancy) and Jim Stephens (Debbie), six sisters, Delma Ison, Thelma Ison, Mary Parish, Glennis Welks (John), Glenda Caudill (Leon) and Sharma Darby (Roy), brothers-in-law, Ray McDaniel (Villie), Bernard McDaniel (JoAnn) and Frank Mickey, sisters-in-law, Roberta Howard (David), Bernice Griggs (Archie) and Nancy Stephens and several nieces, nephews, other relatives, friends and co-workers. Funeral services will be conducted at 2:00 P.M. Saturday, January 19, 2019 in the chapel of the Michael R. Gray Funeral Home in Morehead with Troy Meadows officiating. Visitation is after 12:00 Noon Saturday at the funeral home. The Michael R. Gray Funeral Home in Morehead is caring for all arrangements.